Christmas is only 6 days away and we just started wrapping! We're the worst! Better late than never, right?! I am loving this Christmas so much already. Bentley will be 18 months on the 26th and he is just mesmerized by the Christmas spirit! Aren't we all? 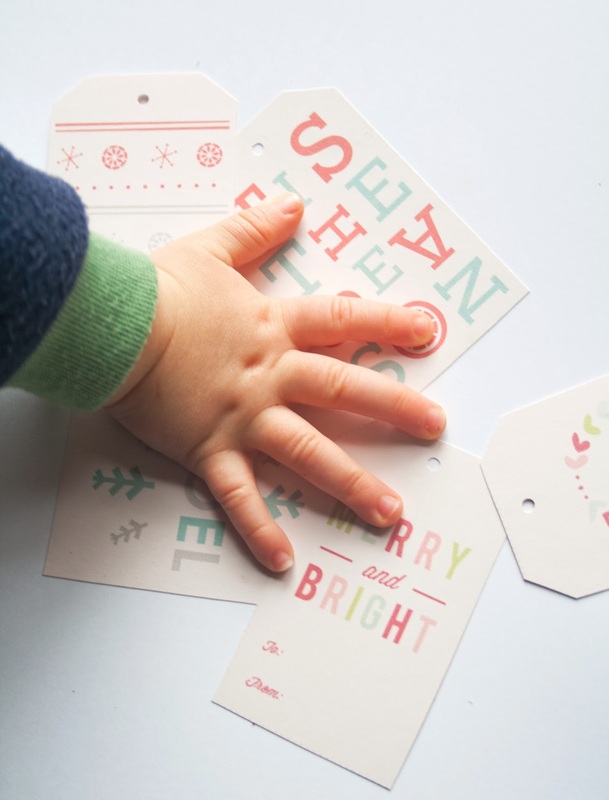 This christmas is going to be so much fun we can hardly wait. Bentley has never really ever unwrapped a gift.... that speaks for itself! 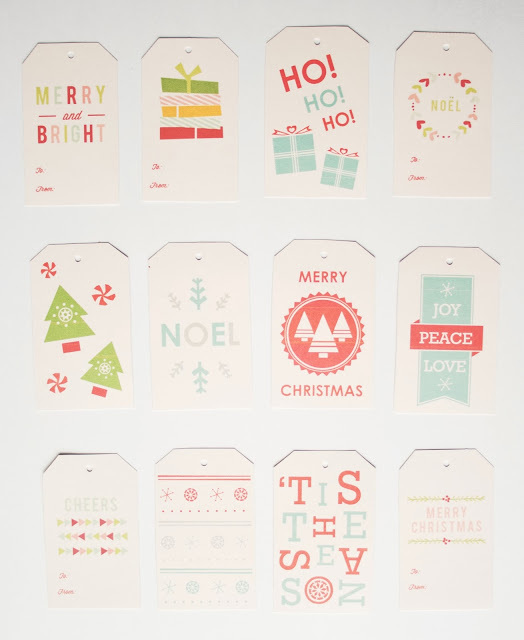 We chose to go with neutral craft wrapping paper and bright tags for a pop. I mean, really?! How cute are these tags! I fell in love with these as soon as I saw them! That tags are super cute!!! Enjoy your holiday. This time of year is EVEN MORE magical with the little ones. I cannot wait for Christmas morning. LOVE, LOVE, LOVE the wrapping. Simple. Classic. Perfect! ha!! i thought i was doing well getting my wrapping done before christmas eve!! i really am the worst!! Those gift tags are super cute!!!! and I did some similar wrapping this year with craft paper!! 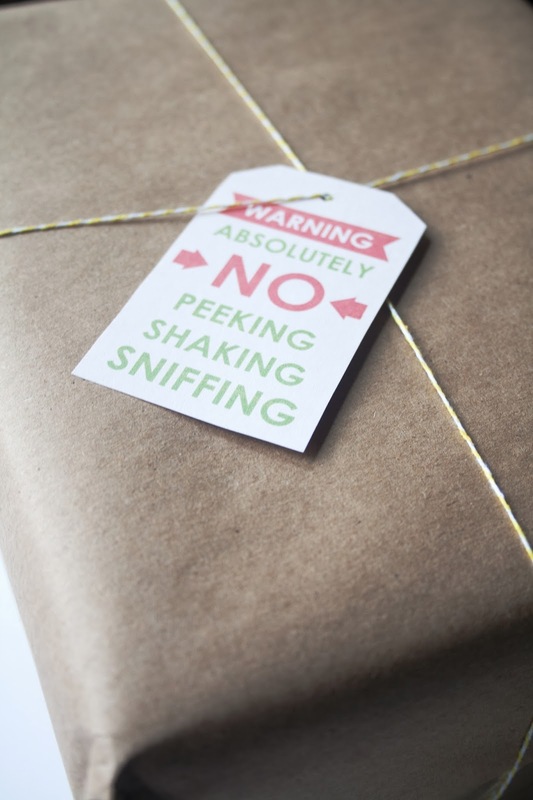 What is the best place to find paper wrapping paper? And is it more expensive or affordable than normal wrapping paper? 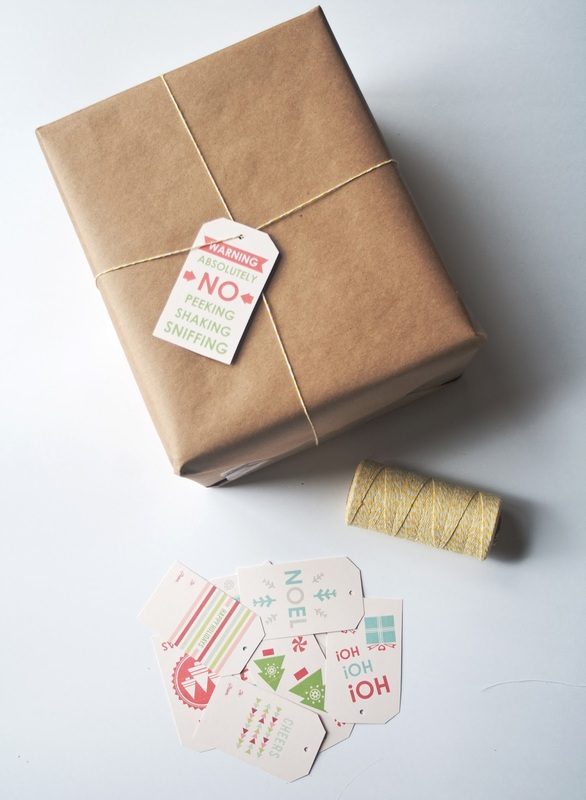 I had been using extra brown paper from packages others gave me, but I'd love to get a roll to use for all occasions and just use any type of string to wrap it with, just trying to figure out if it's actually more expensive. I know I can go the route of paper bags from the grocery store but those aren't as smooth as the brown paper packages I'd like from butcher paper and I can't exactly keep asking my local grocer for more hahahhaa. Lemme know! And do you buy it on a roll? Your presents looked beautiful! Also, um hello....Bentley is in NURSERY!!! WOOHOO! How does he like it? I love the wrapping & tags! So cute! I hope you had a wonderful Christmas, and Happy 2014. All the best to you and your wonderful family!